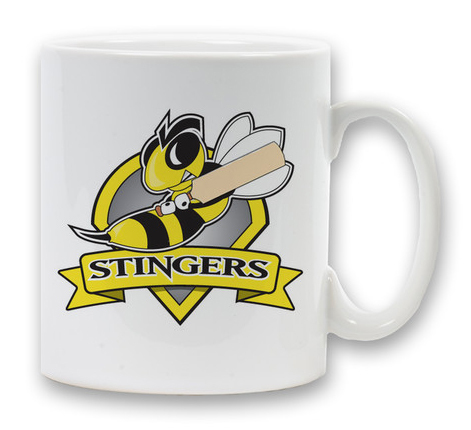 We have a wide range of Stingers merchandise including Jerseys, t-shirts and much more. Simply browse the products and telephone your order to the club secretary (see contact page). Prices do not include postage and packaging. 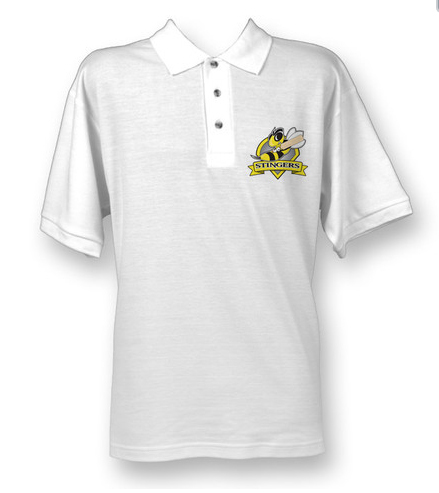 2009 season replica shirt with Stingers logo stitched on. 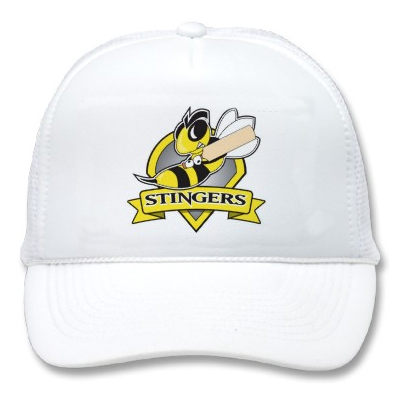 Adjustable white Velcro hat with Stingers logo stitched on. 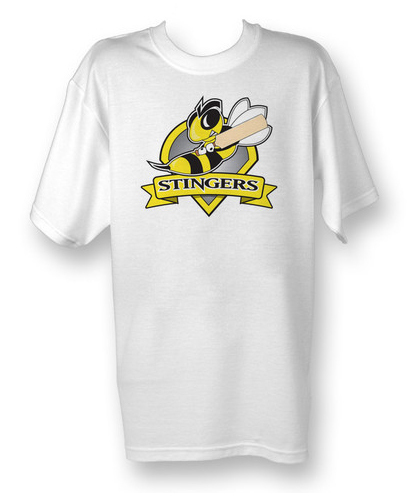 White t-shirts are a high quality poly-cotton mix with the Stingers logo printed on the front. 10oz White Standard Mug, coated for a photo finish. Dishwasher safe.